This is great fun. Bowls on ice with 20kg stones! 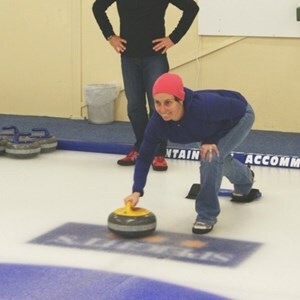 The Maniototo Curling International Inc. operates the indoor curling rink which is located in the historic goldfields town ofNaseby. It is open all year round so visit at any time and keep cool on those hot summer days. A souvenir shop, bar and viewing area are all part of this modern purpose-built facility that is unique in New Zealand. 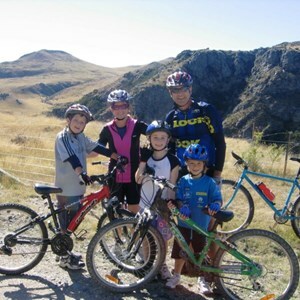 The Maniototo is one of the premiere regions in New Zealand for mountain biking. Tracks range from beginner to expert in difficulty. The Naseby forest area has a huge range of tracks that all weave through the forestry blocks. 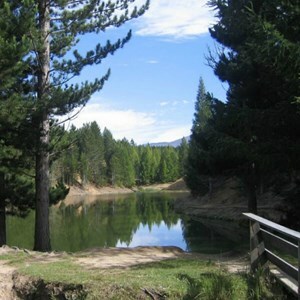 The water race which runs from the Manuherikia River to Naseby has a scenic grade 1 trail beside it and is suitable for the whole family. Local bike hire is available. The Real Dog Equipment Company offers sled dogs rides with a team of dogs especially bred for the task - with or without snow! Located on the main Road between Naseby and Ranfurly (State Highway 85) they offer kennel tours, movies and the opportunity to interact with working dogs. 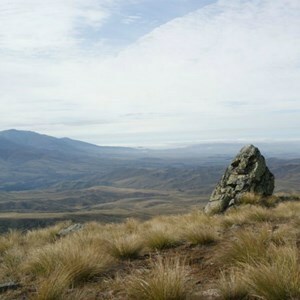 There is a lot of country people never get to see.Central Otagoand the Maniototo area are full of just such places. The Old Dunstan Trail (that led intoCentral Otago from Dunedin) and the Mt.Bustergold workings (located at 4000 ft. above sea level) are examples of places that you'll be able to say you've been! This is way to access some of the most spectacular scenery in the region. This area has some of the best fishing in the country. TheTaieri River is one of the best kept Fisherman's secrets. The headwaters of the Taieri form a large wetland in the Styx Valley. Many species of native and introduced fish breed there. 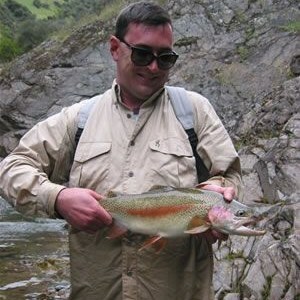 Local dams and rivers also offer good sport. The local iSite in Ranfurly has information about where to go. Licences are available for purchase in Ranfurly. One of Off The Rails drivers is a noted local guide. 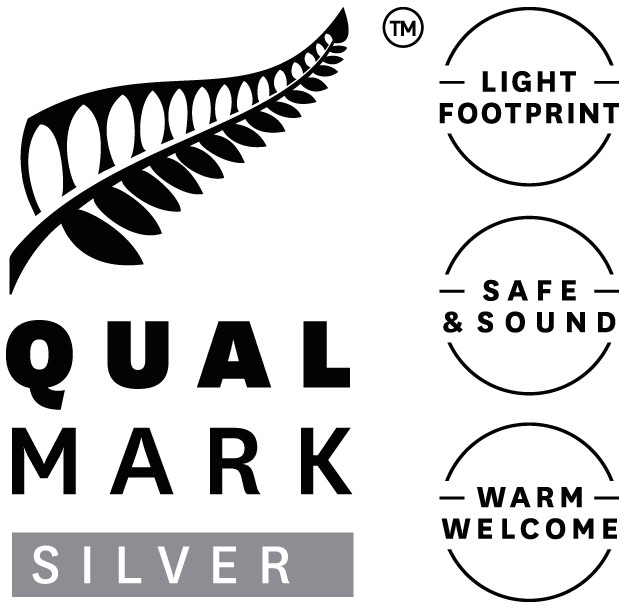 Forest walks in Naseby, the Sowburn River walks in Patearoa, gentle strolls through the townships and Ranfurly's Rural Art Deco walk or more challenging tramps. Explore the newly developed Oteake Conservation Park that takes in the St Bathans, Hawkdun, Ida and St Marys Ranges. The region from Queenstown through to Alexandra has some of the most southerly vineyards in the world. Despite this it has become a region famous for Pinot Noir and other varieties. 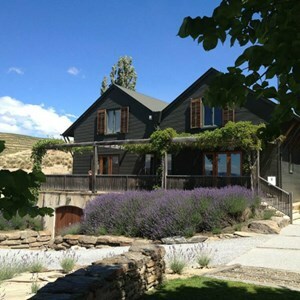 Why not take a day out from cycling and enjoy a full day touring through wine country. Stop at iconic vineyards, sample their wares and talk with the knowledgeable staff that make the magic happen. The trip includes sightseeing along the way, morning tea in a working vineyard, lunch at Northburn Station and visits to 5 wineries. On the way back to Ranfurly we stop in for an evening meal at the Vulcan Hotel. All in all - a day to remember! The region was originally settled on the back of wool and gold. 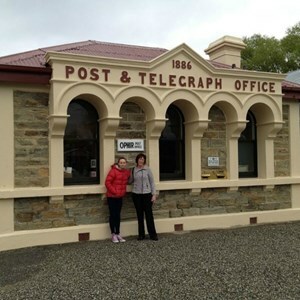 There are numerous sites of historic importance throughout Central Otago. They range from structures such buildings and bridges through to altered landforms such as the Blue Lake of St. Bathans. Hayes Engineering Works ay Oturehua is also worthy of a visit. The iSites throughout the region have helpful and informative brochures to guide your way. 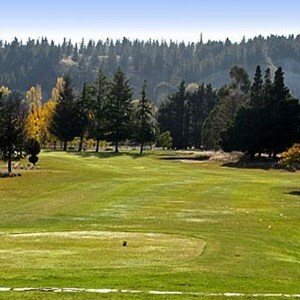 Green fees are extremely reasonable at around $15 for 18 holes. Naseby, Ranfurly and Patearoa all have courses. There is also a shorter course that makes good family entertainment at Wedderburn.